By the end of the last year the Chief of General Staff General Aleš Opata announced the Czech troops will take part at about 200 exercise sessions held both in the Czech Republic and abroad during 2019. Among the large ones there is the Czech Lion 2019, the biggest international exercise held in the Czech Repubic in 2019 with 800 soldiers from the V4 countries, and Dark Blades 2019, the annual Helicopter Exercise Programme (HEP), with focus on night missions and live firing. 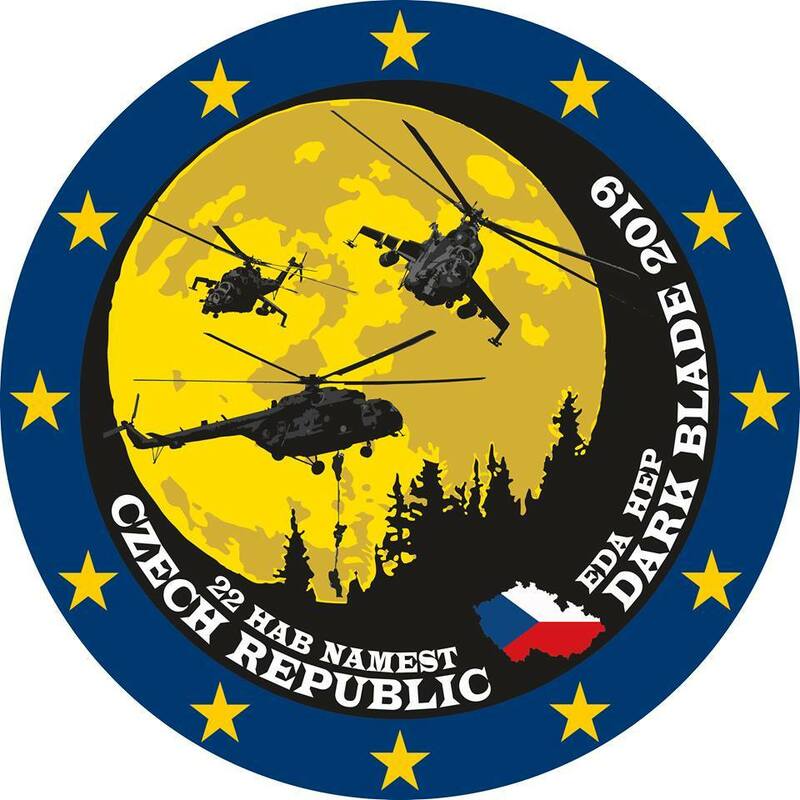 In May 2019, twenty two helicopters of the land and air forces of Belgium, Hungary, Germany, Slovenia and Czech Republic will join the international Dark Blade 2019 exercise. The main area of operations will be the 22nd Helicopter Base in Náměšť nad Oslavou and its surroundings, and military regions of Boletice, Libavá, Březina, and Prostějov, Pardubice and Bechyně airfields. 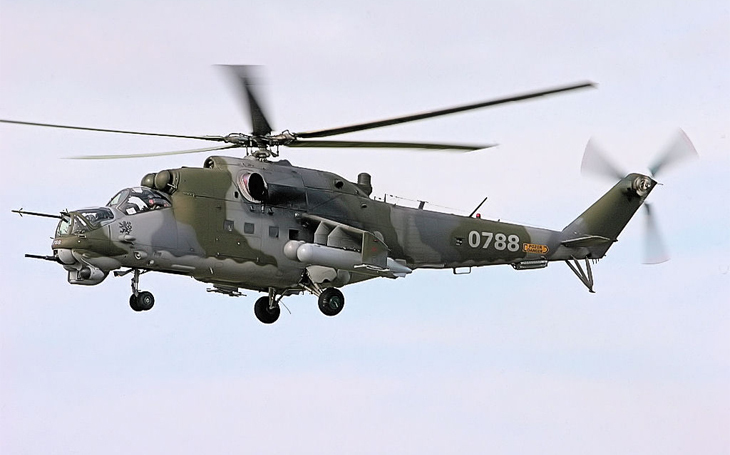 The 22nd Helicopter Base is experienced in holding such events thanks especially to the annual Ample Strike organization, colonel Miroslav Svoboda, commander of the base and director of Dark Blade 2019 said. The main task is to deepen the international interoperability in preparation and planning of flights with tactical subject, especially focusing on the Composite Air Operations (COMAO; air actions interrelated and/or limited in both time and space, where units differing in type and/or role are put under unified control to achieve a common objective). To achieve the objectives it is necessary to follow the procedures up by the European Defence Agency (EDA) within the partner Helicopter Exercise Programme (HEP). An international team of instructors and advisors of EDA will be present to Dark Blade 2019. In 2018 the exercise was held in Portugal as „Hot Blade 2018“, and focused on helicopter COMAO missions in hot, high-altitude and dusty conditions. It is now confirmed that „Dark Blade 2019“ will focus, as the name indicates, on Night Vision Goggles (NVG) flying, night missions, and also live firing. Besides the COMAO missions the troops will perform transport flights with underslung loads, fast roping insertions, aerial crane, and evasive maneuvers against attacking fighter jets. The exercise is being prepared by the Czech Army, the Czech Air Force Headquarters will be command element; and the coordination is assured by the 22nd Helicopter Base. The verify and develop the ability of the host country to provide support for foreign troops being another goal of the exercise. Czech Army started preparations for the biggest international exercise held in the Czech Repubic in 2019: the CZECH LION 2019. About 800 soldiers will take part, members of the Czech 7th Brigade Task Force (7th Mechanized Brigade, 73rd Tank Battalion, 132nd Artillery Battalion, 25th Air Defence Missile Regiment and the 22nd Helicopter Base) with mechanized troops from Hungary, Poland and Slovakia. The major planning conference will be held in May, the exercise will take place from 30th September to 11th October. "The training aims to test the capabilities of the commanders and international crews to command subordinate units of the combat group, to jointly plan and manage the combat and react flexibly to the current development of the battlefield situation," Commander of the Czech Land Forces Major General Josef Kopecký said.